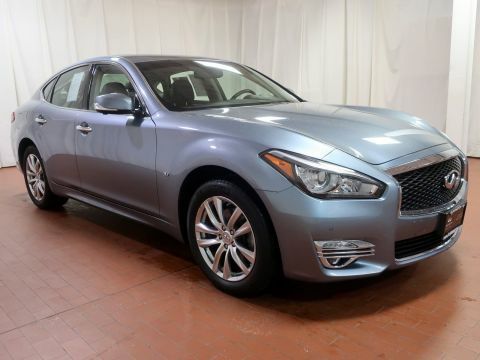 CLEAN CARFAX/NO ACCIDENTS REPORTED, ONE OWNER, REMAINDER OF FACTORY WARRANTY, SERVICE RECORDS AVAILABLE, INFINITI FACTORY CERTIFICATION, DEALER SERVICED, 60/40 Split-Folding Rear Seats, Driver Seat Power Lumbar, Essential Package (2.0t LUXE), Heated Front Seats, Heated Steering Wheel, INFINITI InTouch Navigation System, Navigation System. 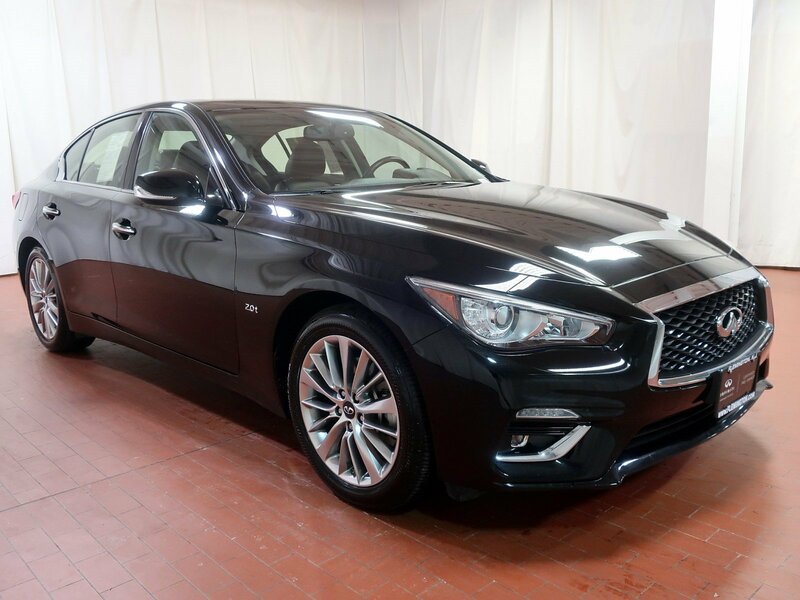 2018 INFINITI Q50 2.0t LUXE AWD 7-Speed Automatic with Manual Shift 2.0L 4-Cylinder Turbocharged Black Obsidian Certified. 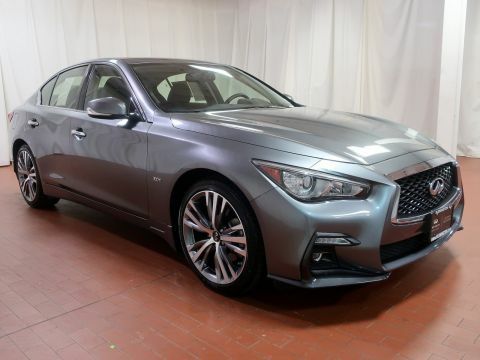 INFINITI Certified Pre-Owned Preferred Details:* Transferable Warranty* Limited Warranty: 72 Month/75,000 Mile (whichever comes first) Limited Warranty from original in-service date* Includes Rental Car and Trip Interruption Reimbursement* 167 Point Inspection* Warranty Deductible: $0* Vehicle History* Roadside AssistanceThe Flemington Car & Truck Country dealership family is New Jersey's best resource for new and used cars. We offer 16 brands and over 6,000 vehicles at all of our different dealerships, and are all about our customers and building lasting relationship with every one we do business with. We are proud to have been given the title of New Jersey's Dealer of the Year by Dealer Rater for the past 2 years. We started from humble beginnings back in 1976 when owner Steve Kalafer purchased Ditschman Ford Lincoln Mercury in Frenchtown, NJ and three years later moved the dealership to Flemington, NJ. This became the foundation for the Flemington family of dealerships. Since then, Steve (now Chairman and CEO) and Byron T. Brisby (President) have acquired and established eight different locations that carry brands such as Ford, Lincoln, Porsche, Volkswagen, Audi, BMW, GMC, Buick, Cadillac, Chevrolet, Chrysler, Dodge, Jeep, Ram, INFINITI and Subaru. Our commitment to customer satisfaction and quality products has been rewarded with many national and local awards like, Time Magazine Quality Dealer Award National Finalist, New Jersey Automotive Dealer of the Year, People Magazine Award for Outstanding Service and the Automotive New/Good Housekeeping Automotive Dealership Service Excellence Award. Call us today at (908) 389-6267.